OAKLAND, CA--(Marketwired - May 12, 2016) - Gainsight™, the Customer Success company, announced today a major product release that will push Customer Success software into a new era. B2C applications like Facebook and Snapchat have set new expectations for easy-to-use interfaces and personalized interactions. Customer Success teams can benefit from adopting similar approaches to their own workflow -- to connect with customers in really innovative ways. The cornerstones of the platform enhancements are two major updates -- a streamlined UI of the core Gainsight product and a video communication product called Gsnap for one-to-one personalized video communications. The next generation of the Gainsight platform was debuted on stage today at Gainsight's Pulse 2016 in Oakland, the largest conference for the Customer Success industry with over 3200 members of the community in attendance. The product release is anchored by the introduction of a sleek new user interface. It brings an intuitive refresh to Gainsight's core modules, including the Customer360 page, a unified view of the health of the Customer, and Cockpit, a centralized workflow for proactive, automated alerts. Gainsight's new user interface is compatible with both Salesforce Classic as well as recently released Lightning Experience. 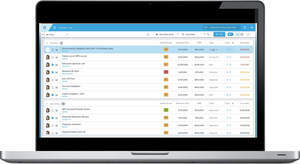 With this new release, Gainsight users will experience the same consistent, intuitive user interface, regardless of which Salesforce edition they select. Also included in the new release is a video communications product called Gsnap. 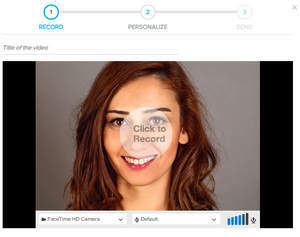 Using technology acquired from Vsnap, Gainsight customers can now send a 60 second, personalized video to a customer right from the Gainsight platform. Customer experiences with user-centric apps like Facebook and Snapchat have driven a similar expectation of a responsive, personal experience in the world of B2B customer interaction. Putting a face to a name establishes the credibility of a seller with a potential buyer and lays the foundation of a personal relationship between Customer Success Manager and valued client. Video communication has already gained traction in the B2B Sales world with vendors like OneMob increasing their momentum in the market. "Businesses are making their teams and outreach more and more digital, and video is leading the way," says Sati Hillyer, Founder and CEO of OneMob. "We're excited to see Gainsight validate the impact video is having across the entire customer lifecycle. It's clear that customer success is the lifeblood of any organization and the Customer Success team needs to connect in a more personal and engaging way. We believe companies that leverage video centric solutions like OneMob and now, Gainsight's Gsnap, will lead the charge to improve customer experience across business." Gainsight announced an integration with Pendo.io, the leading solution for product data gathering and analytics. The integration will provide another option for Gainsight customers to feed the most meaningful product usage metrics into Gainsight's robust health scorecard, workflow for automated alerts and more. "Ensuring radical visibility into product insights is key to improving the onboarding experience for any service-oriented business," said Todd Olson, chief executive officer at Pendo.io. "We believe that the best indication of customer value attainment comes from adoption signals, and together with Gainsight, are on a mission to transform the way recurring revenue businesses manage their customer outcomes." The integration with Pendo.io adds to the existing data connectors in Gainsight's Technology Partner Program. Over 40% of Gainsight's customers have adopted one of the existing robust integrations with: Amazon S3, Google Analytics, MixPanel and Segment. Gainsight technology partnerships go beyond data ingestion to use the insight derived from the Gainsight platform to drive action across the company. The powerful integration between Gainsight and Zendesk,inc., announced in October 2015, has been adopted by 50% of joint customers. With this integration, users can view key Gainsight data points within a widget in the Zendesk Ticket Screen, create a notification for the Account's Customer Success Manager from the widget and directly feed their Zendesk ticket history into Gainsight. "The shared tools, data and insights provided by the Gainsight integration with Zendesk has changed the way our customer-facing teams do their jobs," said Amy Ferguson, Customer Success Manager at Inkling. "The Support team now has visibility into the overall health of the customers they work with and Customer Success Managers are up-to-date on their customer's support activity." This release also enhances Gainsight Vault, the Best Practice repository that integrates Customer Success best practices directly within the Gainsight platform. The release adds the capability for Customer Success teams to import pre-built automation rules as well as pre-built reports from Vault into a customer's instance in in a few clicks. Customers can now view best practices proposed by Gainsight and the broader community across various business processes such as managing risk or different stages of the customer lifecycle. Gainsight™, the Customer Success company, helps businesses grow faster by reducing churn, increasing upsell, and driving customer advocacy. Gainsight's product helps you touch customers effectively, track customer health consistently and transform the way your company orients around the customer. Gainsight provides a 360° view of customers and drives retention across Customer Success, sales, marketing, executive and product management. Learn how leading companies like Adobe, Box, DocuSign, HP, Marketo, Nutanix and Workday use Gainsight to help their customers succeed at www.gainsight.com. With funding from Salesforce Ventures, OneMob is a digital experience platform for businesses. Within minutes, reps can get started using OneMob to improve the way they outreach with prospects, customers and colleagues. The OneMob platform includes a robust video and content management system, customizable and integrated distribution platform, and powerful analytics engine for real-time tracking and ROI measurement. In less than 2 years, OneMob has created a global brand with fortune 500 customers including Cisco, LinkedIn, Yelp, Cvent and others. They were recently awarded Gartner Cool Vendor for CRM Sales and Aragon Hot Vendor for Sales Enablement. For more information about OneMob, visit: http://www.onemob.com. Pendo was founded when alumni from Rally, Google, Cisco and Red Hat combined their heads and hearts to build something they wanted but never had as product managers -- a simple way to understand and attack what truly drives product success. With powerful analytics, in-application user feedback, and contextual guidance designed to help companies measure and elevate the customer experience within their applications, Pendo is on a mission to improve society's experiences with software. Proudly built in North Carolina but engineered to scale globally without losing that soul. For more information, visit: http://www.pendo.io. Zendesk provides a customer service platform designed to bring organizations and their customers closer together. With more than 75,000 paid customer accounts, Zendesk's products are used by organizations in 150 countries and territories to provide support in more than 40 languages. Founded in 2007 and headquartered in San Francisco, Zendesk has operations in the United States, Europe, Asia, Australia and South America. Learn more at www.zendesk.com.